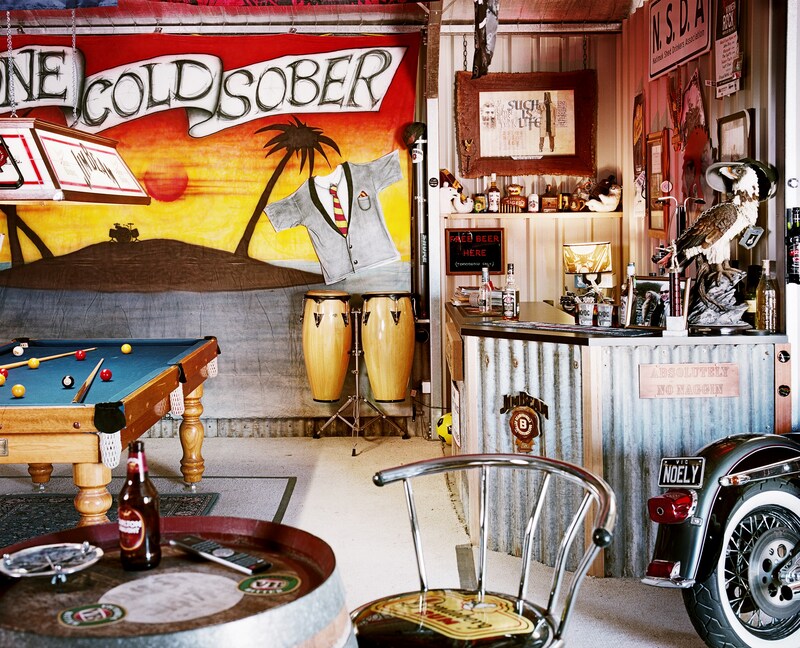 Sheds are a popular subject among local photographers but a new book coming out is the work of a Brit fascinated with Australian man caves. Ian Kenins reports. While visiting his sister Rebecca, who’d relocated to Natimuk, a bush town in western Victoria, British photographer Jasper White was curious about the rowdiness he could hear somewhere nearby on New Year’s eve 2012. He followed the noise to where a party was being held in a shed christened Boozy Gully by its sheep-shearing owner. Jasper noticed it was stocked with a fridge, TV, bar stools and bar tables (in this case two huge oil drums) and decorated with beer signs and shelves stacked with trophies. Standard stuff for us Australians, but unusual for the Englishman. During his travels, Jasper came to realise that each individual shed was just as unique as the bloke that owned it. For his last few weeks in Australia Jasper packed his bags of gear – he’s one of those traditionalists who prefers big, heavy film cameras (a Mamiya RZ for the shutterbugs out there) that require a tripod and lighting equipment – and off he went around central and western Victoria photographing the interiors of unique sheds, or the kind he wouldn’t see back home. He then returned the following year for a six-week shed sojourn, from Queensland through NSW to Victoria and across to South Australia. 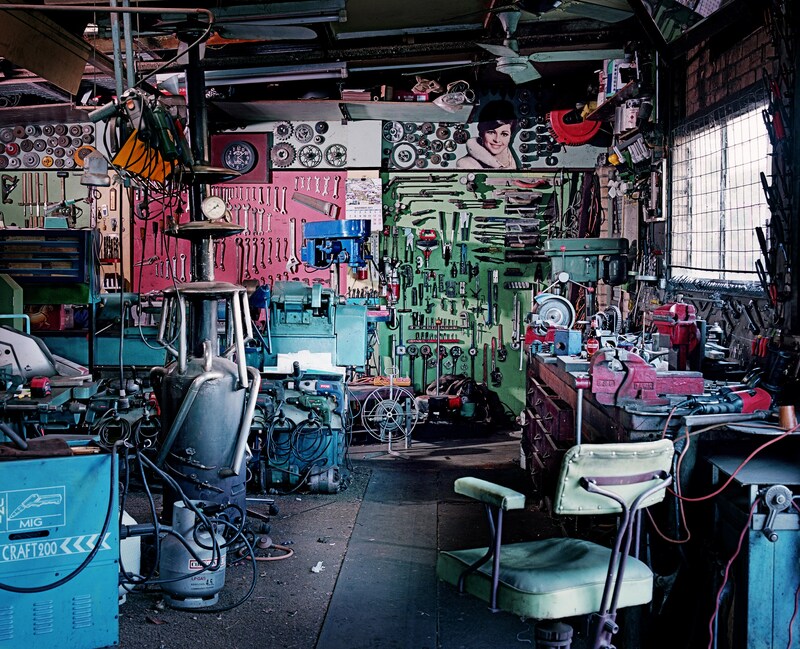 On a recent trip to Australia, UK photographer, Jasper White, became intrigued by Aussie sheds. The shed as a photographic subject is nothing new. In the mid-1990s Mark Thompson’s two successful paperbacks Blokes & Sheds and Stories from the Shed featured black and white portraits and short articles about the many uses made of these backyard dens. Photographer Andrew Chapman has had two books published on shearing sheds: Woolsheds and Around the Sheds. Architect Ross Brewin took simple exterior shots of sheds in various states of disrepair for his 2013 exhibition and accompanying book 49 Sheds, while photographer Craig Wetjen’s striking portraits of men inside their sheds was featured in Issue 1 of ManSpace earlier this year. 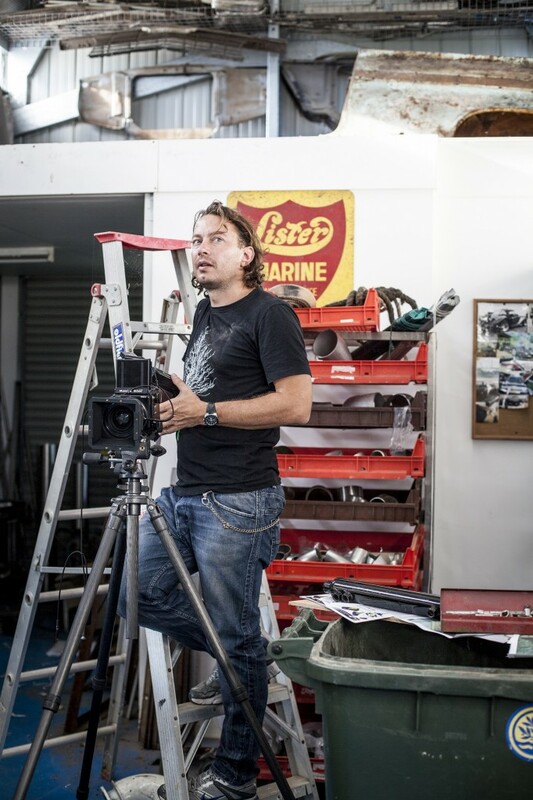 During his travels in Australia the London-based photographer captured 100 sheds on film, many of which will feature in his book titled Man Caves to be published by Thames & Hudson and released in time for Father’s Day this year. 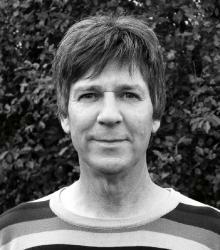 Jasper has dedicated the book to Pete Walter, his sister’s husband who passed away last year aged just 33. “He was the one who willed this book to happen,” says Jasper. Jasper was particularly drawn to shed interiors that he wouldn’t find back home in the UK. “He took me to the first shed for a beer and when I showed an interest in it, he went around town asking everyone if they’d mind me having a look in their shed.